Juno is scared of a lot of things. Climate change, urban foxes, zombies – the usual. So when she goes on a skiing holiday with her mum’s adrenaline-mad new husband and his tearaway twins, she doesn’t hold much hope of surviving. Then she meets Boy. Gruff, hairy and thrill-seeking, he’s everything Juno doesn’t like. Or is he? Juno’s about to discover there’s nothing more scary than falling in love. 17 year old Juno has just arrived at the family holiday from hell, well that’s what she thinks it’s going to be like. Her family comprising of her mum, Siobhan, Step-Father Ed and his eight year old, annoying twin boys are supposed to be having a fun week in Austria, skiing. There is a teeny-tiny problem though. Juno can’t ski and what’s more, she doesn’t want to learn to ski either. You see, Juno is afraid of anything that has the potential to do her harm or kill her – and I mean anything, including World War Three, climate change, oh and a zombie apocalypse! Because of her lack of skiing ability, Juno is sent to ski school. She was hoping for a classroom full of people, but no, ski school is actually physically learning to ski. Even ski school is too much for her, and after some persuading, she agrees to attend one-on-one skiing lessons. This is where she meets Boy, yes that’s his name, or ‘The Gruffalo’. There is just something about him that is drawing her to him. Will this be Juno’s first holiday romance, and will she ever be able to stay upright on those ski’s? 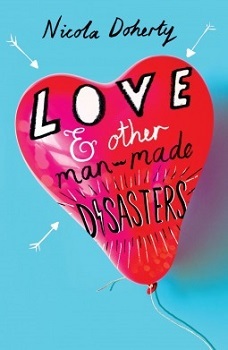 Love and Other Man-Made disasters is Nicola Doherty’s first attempt at writing a YA book and what a perfect attempt this is. Now although I don’t quite fit into the YA age group, I still love YA books, and this book was thrilling and moreish. The plot is well thought-out and keeps you interested from beginning to end. 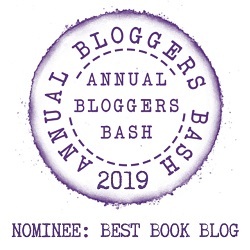 The characters were just adorable and easy to fall in love with, even her pain in the backside step-brothers, and the vividly described scenery had me longing to be wandering in the thick snow. Juno is a lovely young girl, with a good head on her shoulders. She is wise, although a little cautious. She made me laugh out loud with her views on the ‘Zombie Apocalypse’ that is going to happen in the future. Boy, okay it’s not his real name, but the name the staff know him by (he won’t tell anyone his real name), is a quiet young man who likes to be alone. He is the complete opposite of Juno, in that he is a daredevil and likes to be frightened. He wants to climb Mount Everest and is saving every penny so he can achieve his dream. He was super moody at first, but as he and Juno got to know each other better, he let his defences down and you see a softer side to him. A fantastic book by Nicola, that was a complete page-turner and young adults and grown-ups alike will surely enjoy every minute of it. Hi, I’m Nicola. I cannot write funny bios. I like cooking, running, watching make-up lessons on YouTube, New York, California, Friday Night Lights and Stila eyeliner. I live in Highbury, north London, with my husband and no cats.